THQ Nordic has announced that Sphinx and the Cursed Mummy, The Book of Unwritten Tales 2 and The Raven Remastered will release on Nintendo Switch. Sphinx and The Cursed Mummy is an original third-person action-adventure inspired by the mythology of ancient Egypt. Travelling the world via magical portals to foil the evil plans of Set. Sphinx’s Journey will require all his wits, agility, and special powers. He will also rely on his reluctant hero friend, The Mummy, to help when being inconspicuous is the only solution. By finding the stolen magical crowns of Egypt, Sphinx can stop Set and save the world. 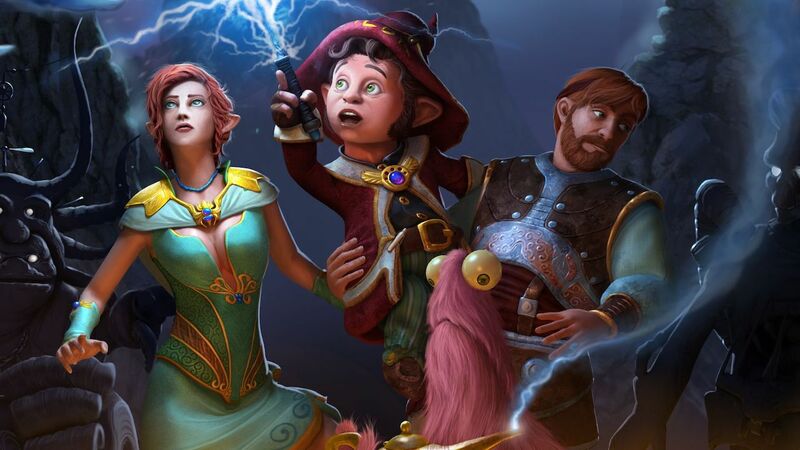 In The Book of Unwritten Tales 2 the player controls four different characters in a lovingly created fantasy world, and must solve some tricky logic puzzles in classic point-and-click style. The thrilling story and the usual The Book of Unwritten Tales humor with its numerous nods to fantasy elements and colourful characters guarantee over 20 hours of fun gameplay. London, 1964. An ancient ruby is stolen from the British Museum. At the crime scene: a raven feather. Is somebody trying to follow in the footsteps of The Raven, the legendary master thief who disappeared years before? Sphinx and the Cursed Mummy, The Book of Unwritten Tales 2 and The Raven Remastered will release at retail and on the Nintendo eShop for Nintendo Switch worldwide in early 2019, priced at £26.99 (€29.99 / $29.99) each.